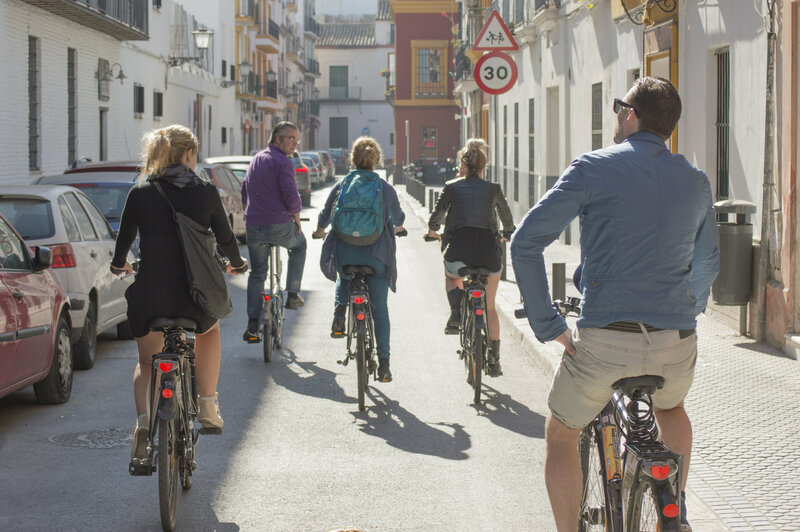 Throughout the guided bike tour, we will visit the most representative monuments of the city such as the Cathedral of Sevilla, the Alcazar or the Santa Cruz quarter. Besides, we will see the most emblematic neighborhoods and those places where the Sevillians enjoy their city. In brief: a city tour which is not touristy and that will tell you what to do and what to see in a short time on the first day of your stay. • Because you can see more with less effort. • Because you're on the 4th city in the world and the 1st in Spain developing bicycle lanes. • Because you will visit places where it is impossible to go by bus and others where it takes much time to see them on foot. • Because you will practice sustainable tourism. Languages: English, Dutch, and Spanish every day. French and German on request.